Our summer membership drive kicks off today! A few times every year we ask you to go the extra mile by supporting the PJCE with a tax-deductible donation. Ticket sales and other earned income only cover about half of our operating costs. Support from our members makes it possible for us to bring you the unique, collaborative, and community-oriented programming that we have planned for the upcoming year. Won’t you join us? Quickly create an account in our system, and help build community and opportunity for jazz in Portland and across the state! Click to Become a Member of the PJCE! Noah Bernstein and the Bernstein’s Bagels team. Become a member before Sunday, get a chance to win tickets from Portland Center Stage or a free dozen bagels! Our friends at PCS have donated a pair of tickets to any show in the 17-18 season. We’ll give the pair away to a randomly selected member who joins before this Sunday! Or, you can get a free dozen bagels from Bernstein’s Bagels! And there are more perks coming from these wonderful partners: Chamber Music Northwest, or Jack London Revue, Bernstein’s Bagels, Badbeard’s Coffee Roasters or the Tony Starlight Showroom. 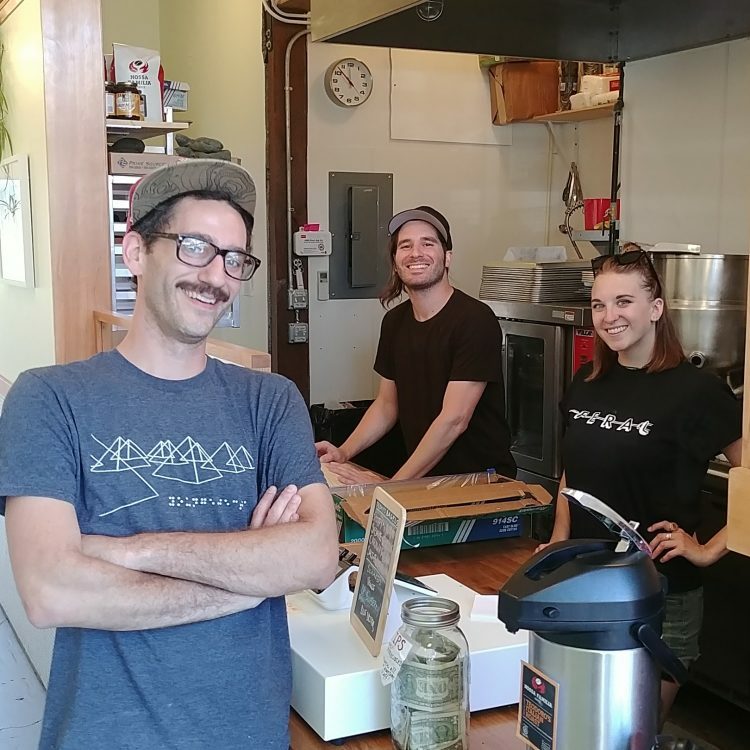 The crew at Bernstein’s Bagels, pictured above, can’t wait to give you a fresh dozen! In order to make the process easier for you, we’ve switched to a new donation platform. The new system is easier to use, and also accepts monthly, quarterly, or yearly recurring donations. If it’s easier for you to donate a smaller amount every month than to give all at once, you can do that now.